On October 26th, MPG Chairman and CEO, Mr. Luca Bernardinetti, participated in a cutting-edge seminar on a topic of increasing importance in Thailand’s business circles. The Good, the Bad and in Between: Arbitration & Mediation, Bangkok Rising Hub for Solving Disputes, held at the Radisson Suites Bangkok Sukhumvit, was co-organized by the Thailand Arbitration Center (THAC), the Thai-Italian Chamber of Commerce (TICC) and the Thai-European Business Association (TEBA) to provide businesses in Thailand with practical information on how to deal with and legally mediate disputes. As the arbitration process is not well known in the Kingdom, the seminar also sought to increase businesses’ understandings of arbitration and mediation rules. 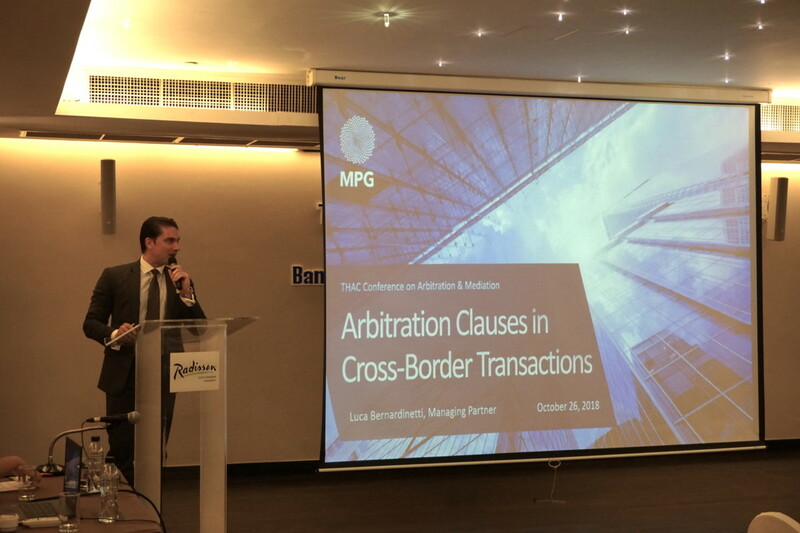 In his talk entitled Arbitration Clauses in Cross-Border Transactions, Mr. Bernardinetti discussed the role of arbitration in resolving international financial disputes. He illustrated his address with two case studies—a trade finance transaction and a project finance transaction, delving into the specific arbitration clauses used in each. In his trade finance case study, he explored the strategies of corporations involved in international trade and provided a comprehensive overview of the characteristics of documentary credits and their independence of the underlying sales contracts. Mr. Bernardinetti’s second case study examined the various and complex arbitration needs of project finance transactions. He stressed that well-written, unambiguous arbitration clauses are paramount for underwriters when considering lines of credit and credit enhancement schemes. 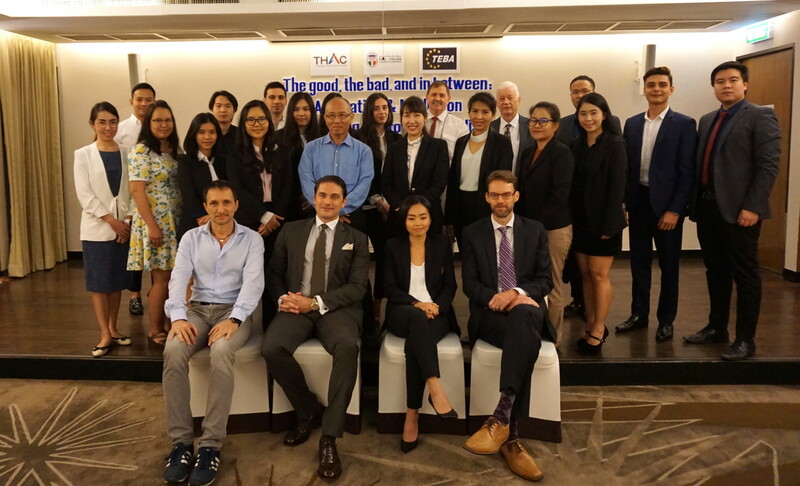 In addition to Mr. Bernardinetti, the event featured talks by Mr. Timothy Breier, Partner at Baker & Mckenzie, and Ms. Litsan Chong, Thailand Arbitration Center (THAC) Counsel. Attendees represented a broad range of businesses, from small enterprises and private companies to manufacturers.